Moving out of the most famous Victorian building in the world was always going to be a disappointment but the chance to work in one of the most advanced modern structures instead had its benefits. The area around Westminster Abbey and the Palace of Westminster (or Houses of Parliament as it’s usually known) is a World Heritage Site. To put that into perspective, in the south-east of England outside of London, only two other sites qualify – Canterbury Cathedral and Blenheim Palace. The demolition, therefore, of the old buildings on Bridge Street across from the Palace in 1994 was bound to be controversial and, being a public project, expensive. Portcullis House was built to the designs of Michael Hopkins & Partners to house principally 210 Members of Parliament and their staff. It is connected to the Palace by a tunnel beneath Bridge Street and sits directly above the cavernous Westminster Tube Station; an amazing Batcave-like hole with floating escalators and huge pillars supporting what’s above. With the Thames just metres away, God only knows why it doesn’t flood. The building’s most distinctive features are its fig tree-filled central atrium, and its flat-topped chimneys (which work as part of the unpowered air conditioning system). 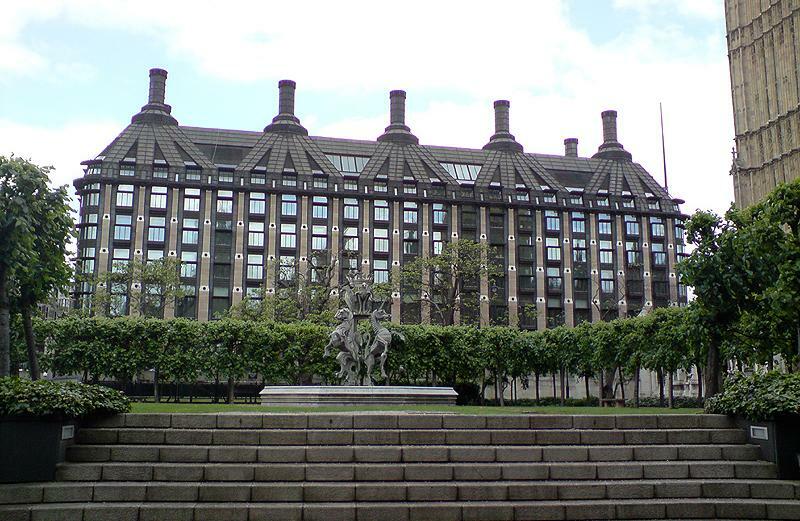 Portcullis House, which should last for 200 years, was completed in 2001 at a final cost of £234 million; partly explained by the extensive use of aluminium bronze on much of the exterior and a costly court case. The current Palace of Westminster was built following a fire in 1834 that destroyed most of what was on the site previously. Work began on Charles Barry’s design in 1840 and it took around thirty years to complete. Along with those already mentioned, St. Margaret’s Church, the Middlesex Guildhall, RICS HQ and HM Treasury also overlook Parliament Square and its statues of Sir Winston Churchill, Abraham Lincoln and other famous statesmen. 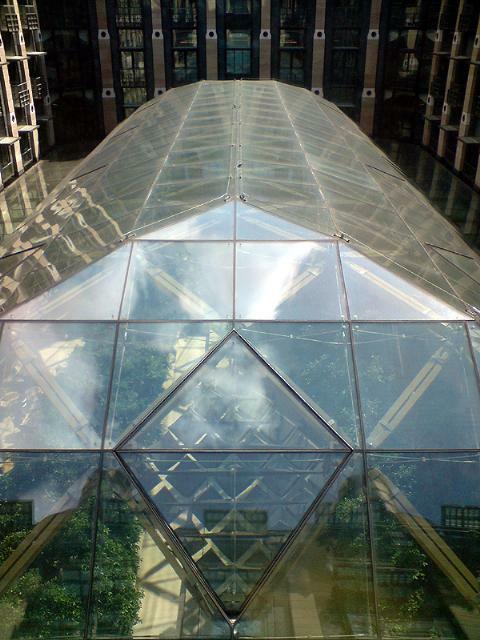 In such illustrious company, Portcullis House had a lot to live up to. As I now work in Portcullis House (or PCH as it’s known on the Parliamentary Estate), I get to experience what’s good – and bad – about it first-hand. Unfortunately, there are many continuing problems; the worst being the extremely weak mobile phone signal. Despite the niggles, PCH is a great environment in which to work. Public buildings should be inspirational and PCH passes the test – I just can’t call any friends from work to talk about it!